“I have worked with WOW on a few projects previously, and once again I am absolutely delighted with our new website. From the off-set the team grasped our idea and turned it into a website that looks great, works well, and above all, generates business for us. Thank you to the WOW team, I would happily recommend you to anyone”. 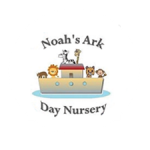 Vanessa Weeks – Director – Hear Pure Ltd.
“Noah’s Ark Day Nursery contacted Wow to design and construct a new website for the business. 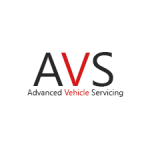 From the initial meeting through to completion of the website Jaimie and his team took the time to understand our business and what we were looking and showed real interest and passion in making sure the website reflected exactly what we were looking for. The idea’s that the team brought to the initial design really opened our eye’s to the possibilities of how the website could look and function and they took us through each stage step by step so that we understood everything. 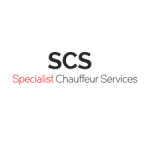 I would have no hesitation in recommending this fantastic company for any project and I look forward to our continued working relationship for the future”. “I can’t thank you enough for your help with getting my business online with a fantastic website. I really like how easy it id for me to manage and our customers love it. We are getting a steady stream of new clients through the website all the time so it was a great investment to make.”. “I am very, very pleased with our website, I didn’t expect such a high quality website for the price we were quoted, and the turn around was very quick too. I find it quite simply, amazing how good Wow are at delivering what they proimise “. 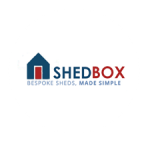 “Wow web design got our website absolutely spot on, they grasped our design concept straight away and produced a website our business is extremely proud of. I would recommend them to anyone”. 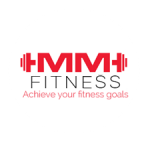 “Since launching our new website, we have seen a huge uplift in our online enquires and that’s thanks to Jamie and his team for producing a quality website. Their service is superb value for money and I will be using them again soon. “Thank you so much for the website for my new business. We have had nothing but positive feedback from it since it was launched. I was very impressed with the quick turn around and the advice you gave throughout the process. I will recommend you to anyone else without any hesitation”. “We have worked with a few web designers over the years, Wow are head and shoulders above anyone else we have used. They are friendly, consultative and seem to go the extra mile to help. I am very impressed with the website, logos and the marketing you have provided us with. We look forwrd to working with you again on another project we are working on”.